This post card was sent to all 'heads of houses in Bottesford' on the death of The Rev. 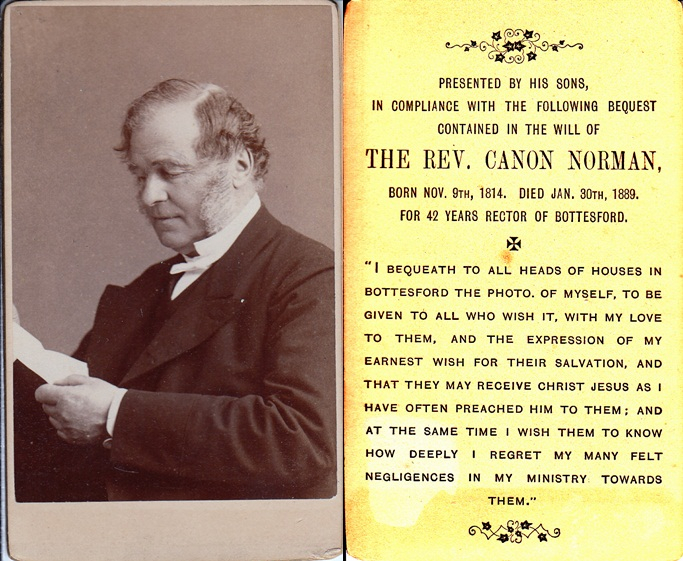 Canon Norman in 1889. It was kindly made available by Carole Miller from Canada. She found it among her grandmother's papers and does not know how it came to be there. Her grandmother and grandfather owned the Shoulder of Mutton Inn in Osmaston, Derby. This page was added on 23/02/2015.